Preheat oven to 350°F. Combine all dry ingredients in a bowl. Then, with a mixer, add in wet ingredients until well blended. Spray a donut pan with olive oil cooking spray and fill each ring with about 2/3 of the batter. Bake for 20 minutes. They will be golden brown when done. Test with toothpick. Cool in pan for 5 minutes then take them out carefully and let them cool on a cooling rack. Once the donuts are cooled to room temperature, you can prepare the glaze. Toast coconut lightly in a pan for 3 minutes at 350°F until the coconut turns golden. Combine the carob, agave and vegan butter in a bowl and microwave for about 30 seconds. Be sure to stir at 30 seconds. The more stirring, the better. Once the carob is melted, dip each donut halfway into the carob. Place back on a cooling rack (if you don’t have a cooling rack don’t worry a plate works just fine) and sprinkle with golden toasted coconut. Let glaze set for 45 minutes to 1 hour. Enjoy! Thank you so much for stopping by we are glad to have you. 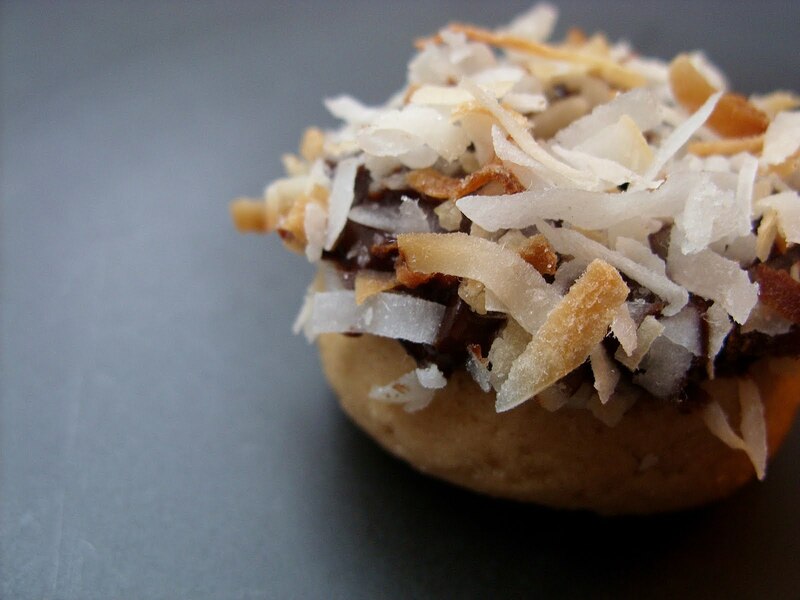 These have become our newest favorite and they are a much healthier donut. Have a wonderful day and weekend. Wishing you great LOVE, HEALTH & ABUNDANT HAPPINESS Today & ALWAYS!